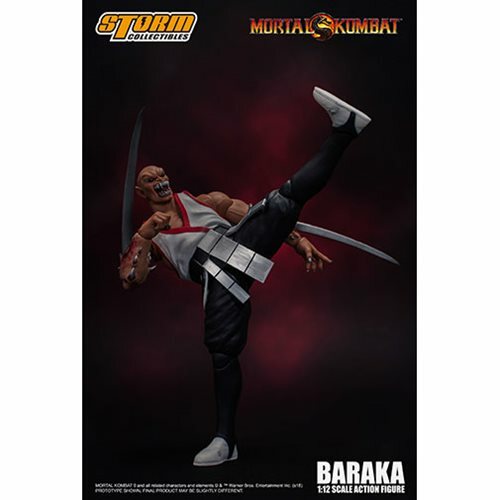 Baraka led the attack against Liu Kang's Shaolin Temple and he belongs to a nomadic race of mutants living in the waste-lands of the Outworld. 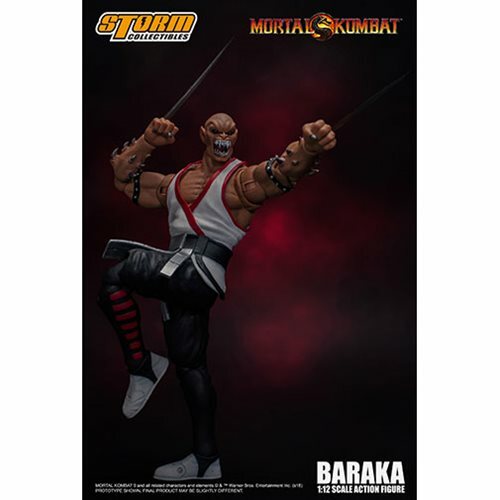 Baraka's fighting skills gained the attention of Shao Kahn who recruited him into his army. 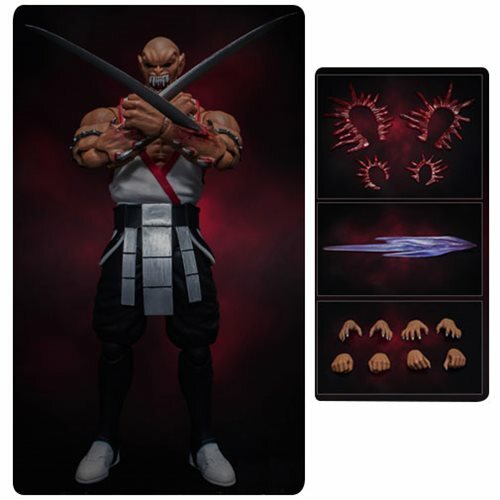 As a kontestant in the Mortal Kombat tournament, he will ensure his emperor's claim to Earthrealm. 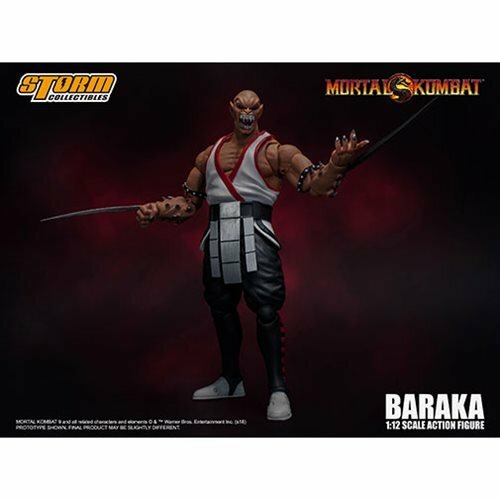 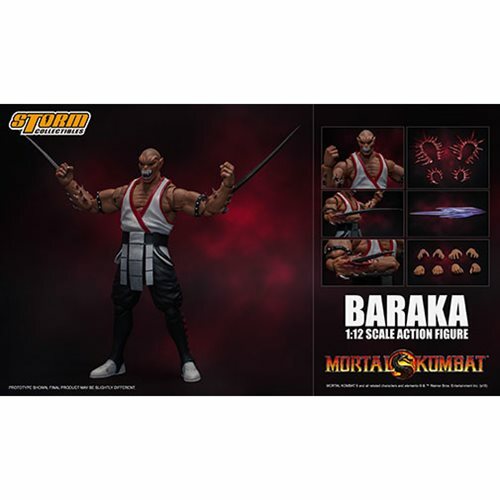 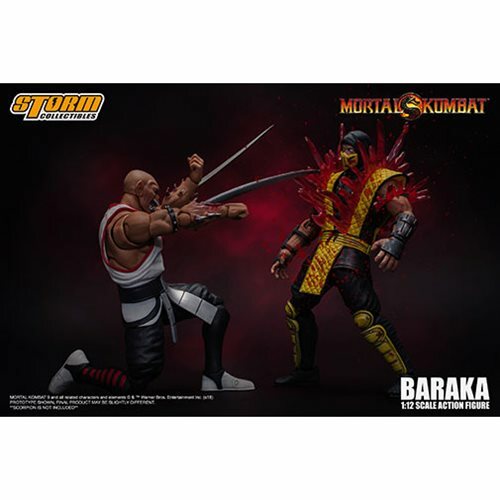 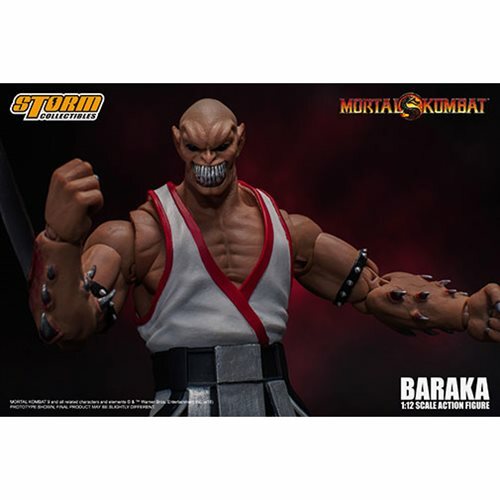 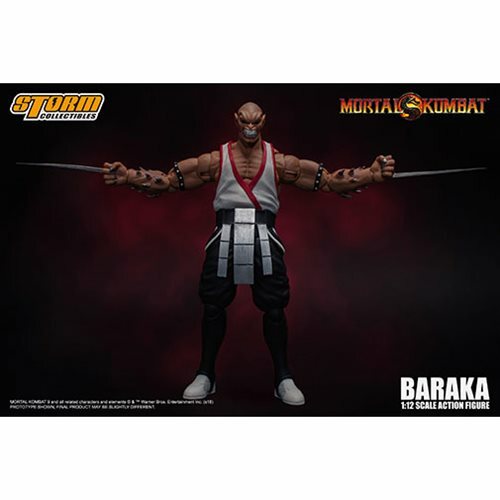 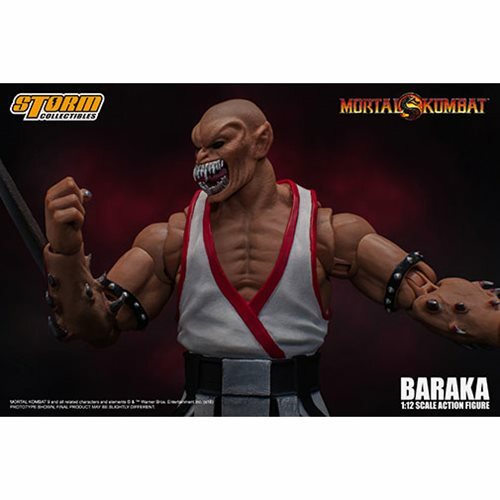 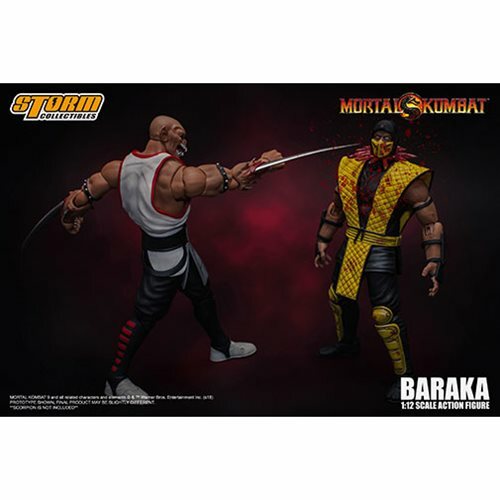 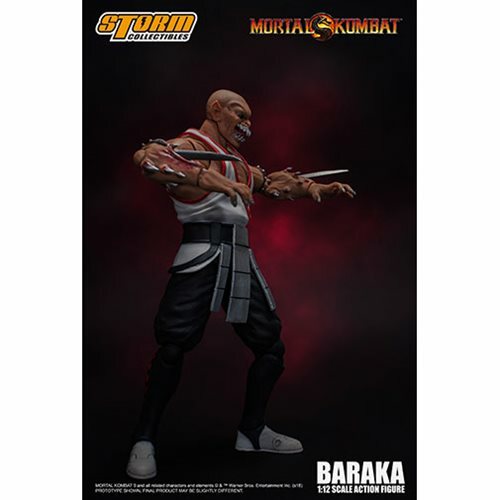 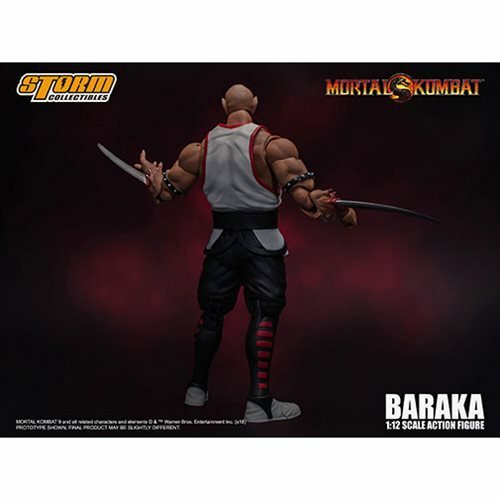 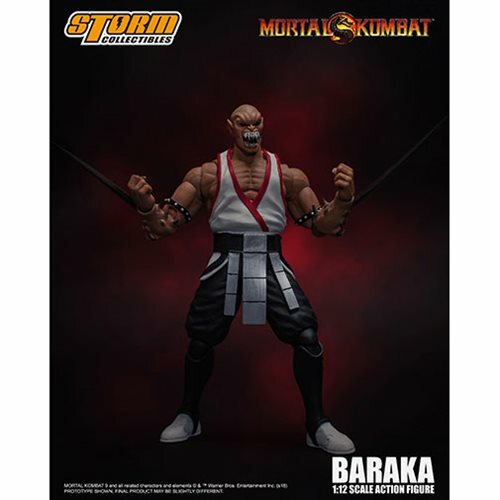 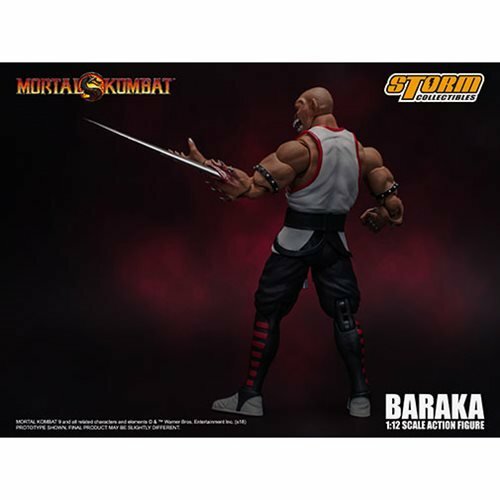 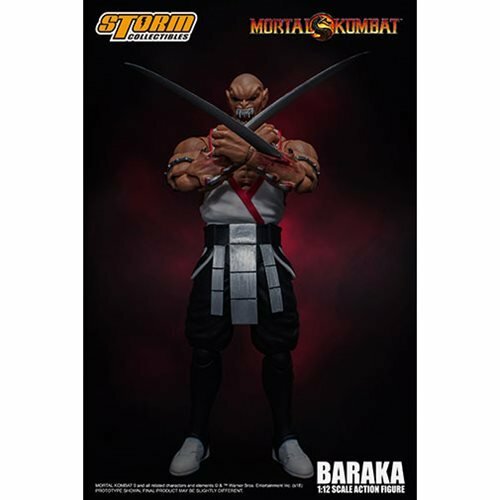 The Mortal Kombat Baraka 1:12 Action Figure features an interchanging head sculpt with 2x interchanging blade, 2x pairs interchanging hands, and 4x pairs Blade Spark Effect, and 2x pairs of injured effect.